An action-platformer paying homage to 8-bit classics like Mega Man and Castlevania. It is developed by a small group of former WayForward employees, with funding through Kickstarter. Shovel Knight consists of four individual, full-length single-player campaigns, each of which features a unique player character with their own playstyle, levels, encounters, and story. Three have been released so far, while the fourth is scheduled for release on April 9th, 2019. These campaigns are, in order of release: "Shovel of Hope", "Plague of Shadows", "Specter of Torment", and "King of Cards". The collection "Shovel Knight: Treasure Trove" contains all four campaigns in one purchase, and costs $25 - this price will rise to $40 on April 9th, 2019, once the final campaign is released. On some platforms, Specter of Torment can be purchased as a separate stand-alone title for $10, and the same is planned for King of Cards once it releases. Shovel of Hope & Plague of Shadows are only available as part of the Treasure Trove bundle. There's platform-exclusive content for each system the game has been released on, like optional bosses, game modes, or Amiibo-support. See the Links-section below for a complete breakdown. All physical copies of the game, as well as all digital copies purchased prior to January 2017, are automatically upgraded to the Treasure Trove version. added multiple full-length campaigns for existing owners for free, then later on gave newcomers the option to buy them piecemeal. Nintendo versions feature Amiibo support. Shovel Knight consists of four individual, full-length single-player campaigns, each of which features a unique player character with their own playstyle, levels, encounters, and story. Three have been released so far, while the fourth is scheduled for release on April 9th, 2019. These campaigns are, in order of release: "Shovel of Hope", "Plague of Shadows", "Specter of Torment", and "King of Cards". 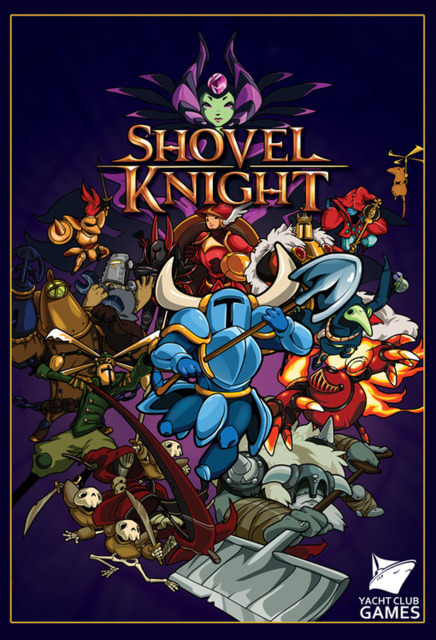 The collection "Shovel Knight: Treasure Trove" contains all four campaigns in one purchase, and costs $25 - this price will rise to $40 on April 9th, 2019, once the final campaign is released. On some platforms, Specter of Torment can be purchased as a separate stand-alone title for $10, and the same is planned for King of Cards once it releases. Shovel of Hope & Plague of Shadows are only available as part of the Treasure Trove bundle. There's platform-exclusive content for each system the game has been released on, like optional bosses, game modes, or Amiibo-support. See the Links-section below for a complete breakdown. All physical copies of the game, as well as all digital copies purchased prior to January 2017, are automatically upgraded to the Treasure Trove version.